November proved to be a hair-raising month at Fairfield Warde High School. That’s because it was “No Shave November” at the school, where 17 teachers and 17 students participated in a beard-growing contest to raise money for the winner’s charity of choice. The annual contest, started six years ago by social studies teacher Stephen O’Brien, this year hit a record — in terms of both giving and growing — as donations totaled $400. Each of the 34 participants donated $5 to compete and another 15 teachers, apparently unwilling or unable to grow, donated $5 to judge the contest. Warde Headmaster David Ebling and Fairfield Education Association President Bob Smoler together sponsored individual teachers and students sponsored two teachers. 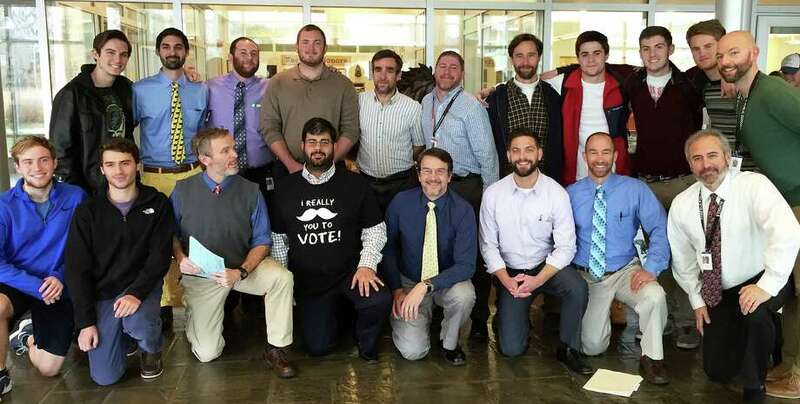 The competition was fierce, according to organizers, but in the end the beard of math teacher Joe Saad won the judges’ Hairiest Award, while Steve Blumenthal, the Warde dean, won the Baby Face Award for being nearly hairless, and Smoler, who also teaches math at the school, earned the Grandpa Award. The $400 raised was donated to St. Jude’s Children’s Hospital, as selected by Saad. “I chose St. Jude’s so that my students had the opportunity to help their peers that might be in need. Also, the children with St. Jude’s will now know that students their age are helping them ...” he said.